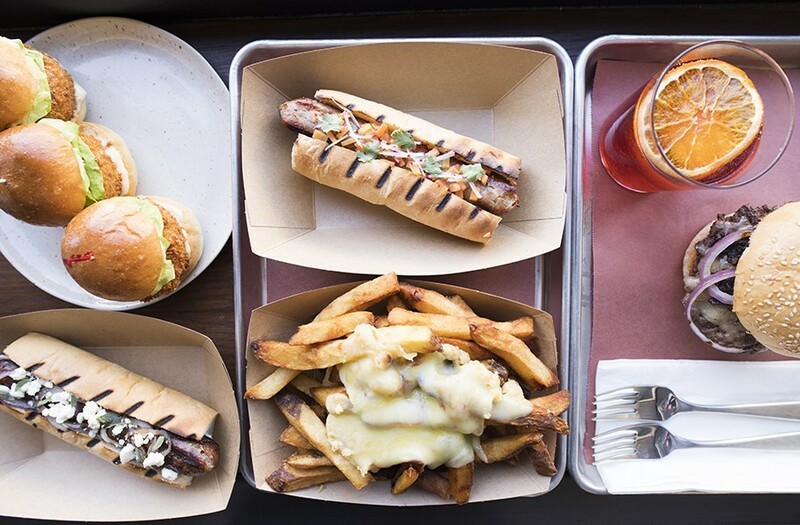 Frankly on Cherokee specializes in sausages, but it does many other things as well, including some of the best fries in town. When Bill Cawthon got into cooking a little over a decade ago, there was really only one way to enjoy quality, thoughtful cuisine: in a hushed room with white tablecloths that felt more like a museum than a place to eat. So that's where he went. 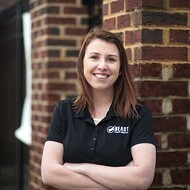 Right out of high school, the St. Louis native enrolled at the Culinary Institute of America in New York, worked at high-end restaurants around Manhattan and dove headfirst into the world of fine dining. Even after he moved cross-country to breezy Los Angeles, he continued down that path as sous chef at the elegant Culina, inside the Four Seasons Hotel in Beverly Hills. 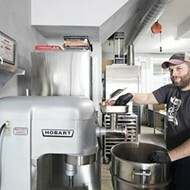 There, he worked under an old-school chef who had led the kitchens at some of the world's top properties. It seemed like a cut-and-dry gig, albeit a prestigious one — but it proved transformative. 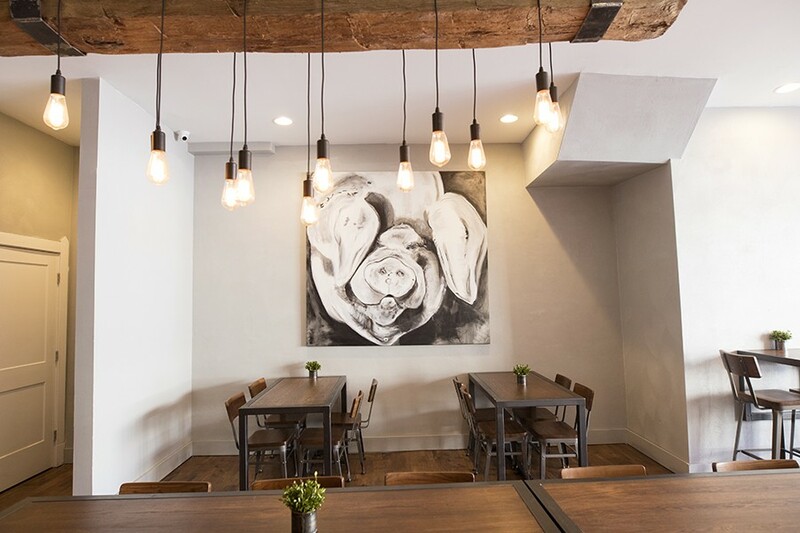 Indeed, looking back from the perspective of his four-month-old restaurant in south city, Frankly on Cherokee, Cawthon feels like it all began with Culina. It's an unlikely origin story for a fast-casual sausage shop, but he says Culina chef Vic Casanova taught him everything he knew about running a kitchen. Casanova became a mentor, instilling in Cawthon an appreciation for the beauty in simple, straightforward cooking. Today it underpins his entire culinary philosophy. Bill Cawthon learned his trade at fine-dining restaurants in LA before returning to his native St. Louis. That ethos — use only the best ingredients you can find, don't mess them up and let the food speak for itself — is what defines Frankly on Cherokee. These days, as fine dining is being mourned in an endless series of obituaries, no one bats an eye at a talented chef doing thoughtful cuisine in such a downscale format. That wasn't the case when Cawthon started out, which shows just how much the restaurant business has changed in the last few years. And if Frankly on Cherokee is an indicator, that change is not just welcome, it's thrilling. Cawthon didn't set out to become a champion of the current culinary zeitgeist; he was simply trying to help out some friends. After returning to St. Louis from Los Angeles, he was hired as sous chef at Gerard Craft's hotspot, Pastaria, and then went to work as Bill Cardwell's chef de cuisine at Cardwell's on the Plaza. But when his friends Ryan and Linda Sherring of Six Mile Bridge Brewery enlisted his help with food for their new brewpub, he jumped at the chance to do something out of the box. Though the idea of artisanal sausages had been marinating in the back of his mind for some time, Six Mile Bridge provided a format to finally develop and launch the concept. Rabbit sausage is topped with pickled carrot, local radish and cilantro. 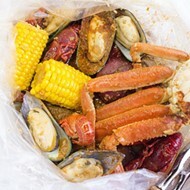 Instead of opening as a standalone spot inside the brewery, Cawthon and his wife, Jamie, decided that a food truck would give them the freedom to take their food around the city. Their truck, Frankly Sausages, was such a hit, it quickly prompted the Cawthons to look for a brick-and-mortar location. In the meantime, Cawthon did double duty, working part time for Cardwell and using that kitchen as his commissary (a generosity Cawthon praises as the reason he was able to get his concept off the ground). 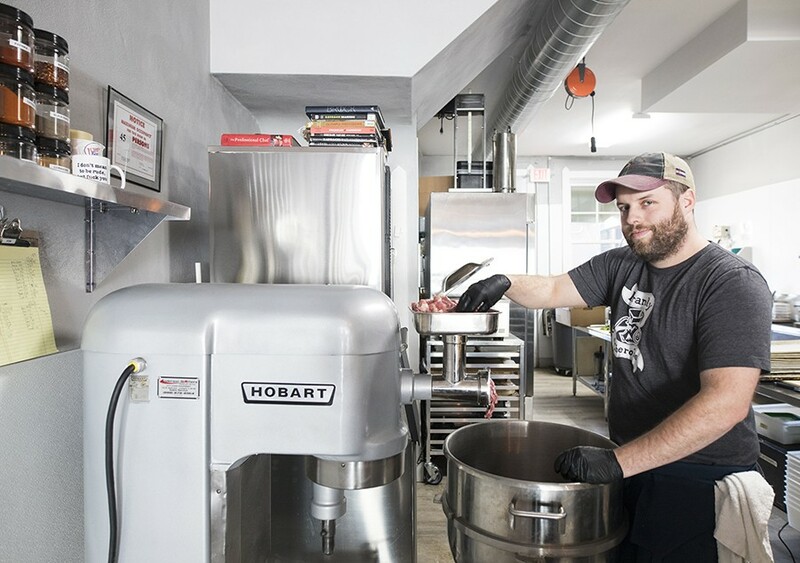 When they found the space on Cherokee Street that used to house Calypso Café, the couple signed a lease and got to work transforming the small, shotgun room into a showroom, not just for Frankly Sausages, but for the full extent of what Cawthon can do with charcuterie. In this sense, Frankly on Cherokee does not replace the food truck; it builds upon it. You'll still find all of the truck's fan favorites, but they are accented with gourmet touches that require a more permanent kitchen. That includes the chicken liver crostino, which pairs crusty bread with luxuriously silken chicken liver mousse. Balsamic caramelized onions cut through its offal notes with a sweet acidity, something like pairing foie gras with Sauternes. 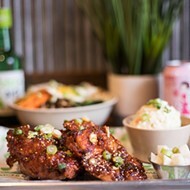 That it's served on a rustic wooden table inside a fast-casual storefront proves that fine dining no longer has the market cornered on exquisite flavors. The shop is light and bright, with counter service. 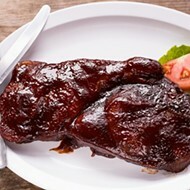 Sausages, however, remain the main event and Cawthon shows what a wonderful canvas they can be for culinary exploration. An Italian fennel version pops with both the snap of the casing and the punch of the black-licorice-flavored herb, which infuses the coarsely ground pork with almost menthol sweetness. The green and red bell peppers piled on top are cooked to the point of slightly softening while still retaining their exterior crunch. It's a simple flavor combination that shows why it's become a classic. Cawthon's beer brat is another example of how a quintessential flavor combo can be otherworldly when made with quality ingredients. 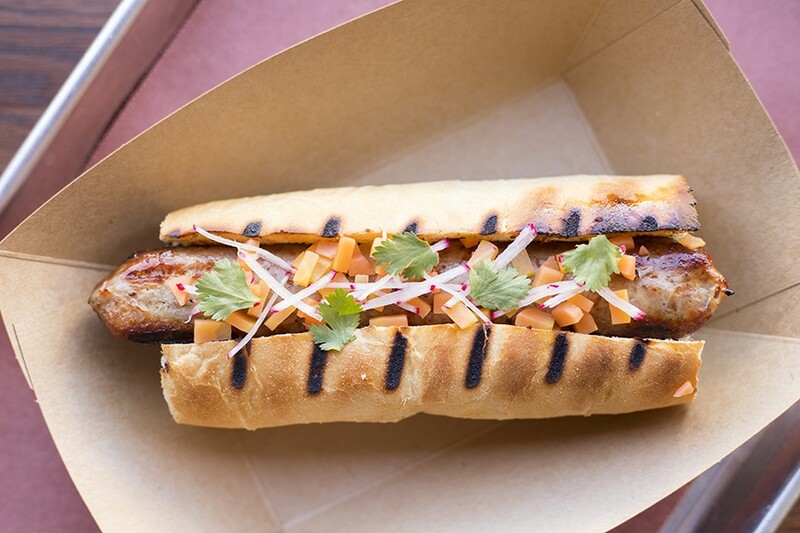 The brat has the straightforward taste of sweet pork and light beer — reminiscent of backyard cookouts, but done as well as if that cookout were on the lawn of a luxury villa. Housemade sauerkraut marries coarse mustard, adding a zing of tang that again calls to mind the familiar while making it extraordinary. The lamb sausage is made with leg of lamb, rosemary, garlic and white wine. 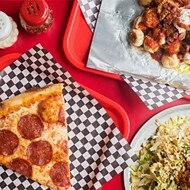 If the brats are a gourmet version of lower key foods, Frankly's lamb sausage is an accessible dish that evokes Cawthon's time in the world of white tablecloths. Here, Cawthon shows his skill with texture: The lamb is not at all mealy but instead presents as a composite of a finely cut-up chop. Bitter grill char infuses the meat with flavor, as does just a dash of fresh oregano and grilled red onion. 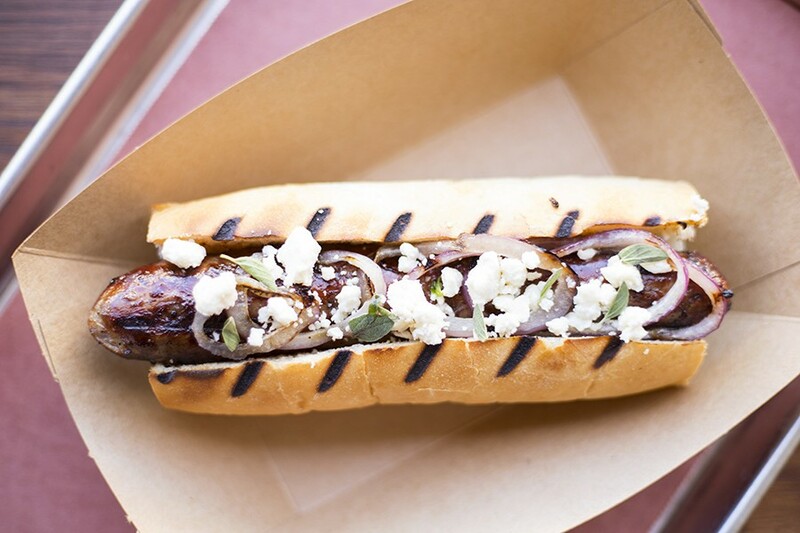 Add a sprinkle of tangy feta cheese, and this exquisite sausage is like a rustic barbecue on a windswept cliff in Santorini. Cawthon does not delight solely with sausages, though. His chicken sandwich gentrifies a basic fried offering with crispy cucumbers, green apple slices and romaine. The accoutrements are dressed in buttermilk sauce, and a slice of Havarti cheese melts onto the griddled sourdough bread, melding all the components together. It's a window into what he can do when he's not confined to one particular genre. Pork-trotter sliders are topped with roasted garlic mustard and greens on a brioche bun. 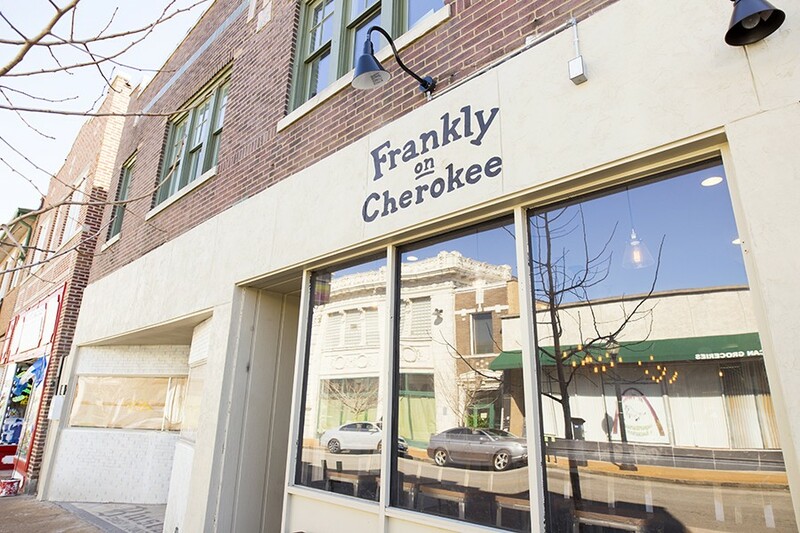 Frankly on Cherokee does not have a full bar, but it expands on its ability to do simple things well with a thoughtful beer list and, most notably, a handful of bottled cocktails that Cawthon and crew prepare in advance of service. They're exceptional, if not dangerous. His gin and tonic is so easy-drinking it's been known to get people accidentally inebriated on their way to work (he won't name names). I'd have that same trouble with his manhattan, a version of the drink that is smoother than Rob Thomas and Carlos Santana at a Barry White concert. 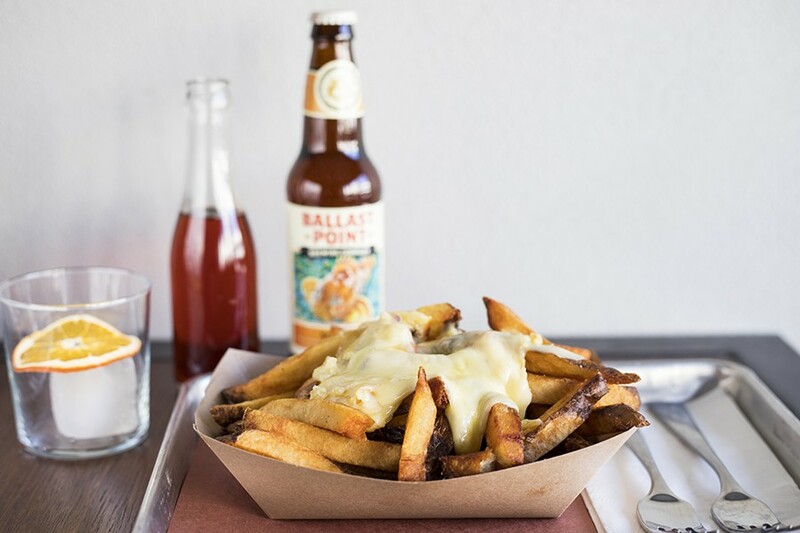 Cawthon's cocktails may be enough to get you sauced, but there's one thing on the menu that is even more intoxicating: The raclette cheese fries. They're the first thing you encounter when you walk through the front doors; the smell of the Swiss cheese immediately warms your soul with its funky siren song. The raclette cheese fries are a sight to behold ... and even better to eat. The gooey topping could make even fries from the Sysco truck sing, but that wouldn't be Cawthon's style. Instead, he goes through an arduous process, cutting potatoes into thick fries, blanching them and then freezing them. 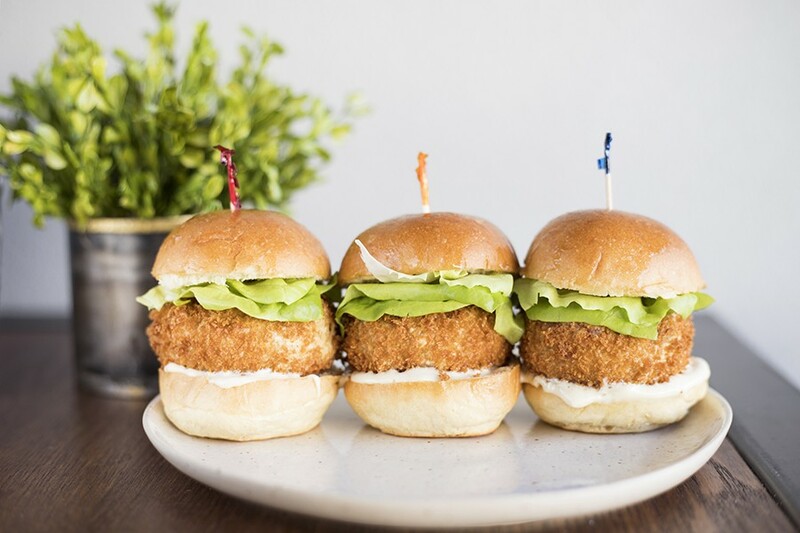 After they've frozen, he fries them at a lower temperature than is normally used, allowing them to develop a crunchy, golden salt-crusted exterior while the inside remains soft and creamy, like deep-fried mashed potatoes. Befitting such beauty, Cawthon ceremoniously scrapes raclette from a halved cheese wheel with a large knife within eyeshot of the dining room. The pomp and circumstance evokes sabering a bottle of fine champagne — and it's no less luxurious. Cawthon jokes that the fries are a massive pain in the rear end to produce — the sort of laborious task that calls to mind chefs in toques toiling away in three-star kitchens. Still, he couldn't imagine doing them any other way. That's the classically trained fine-dining chef inside him still speaking — only now, there's more of us who can afford to listen.